True Vision Home Inspections is your local home inspection company- founded in Colorado and serving everyone from Fort Collins to Colorado Springs. 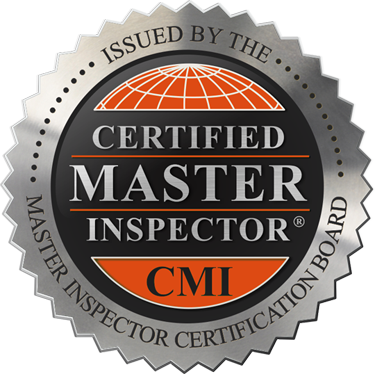 Field staffed with only Certified Master Inspectors who have performed over 15,000 inspections combined. Our team has the knowledge and expertise to provide you with the highest quality inspection. Supplying next day reports, 24/7 customer care, and technology integration, we ensure that our clients walk away with piece of mind and are fully prepared to move forward with one of life’s most important investments. A first-rate home inspection entails quality service—and impeccable communication. True Vision Home Inspections aspires to inform and educate every client so that they’re able to acquire a complete understanding of a home before committing to a purchase. Once you’ve scheduled your inspection, you’re encouraged to attend to get a firsthand look at the process and ask any relevant questions that may arise. If additional questions come to mind after your inspection, your phone call is always welcomed. True Vision Home Inspections believes in providing an honest assessment of the home that you’re considering, never needlessly alarming you over fixable issues. By communicating the findings clearly and accurately, Tom Gabaldon strives to prepare you to make an informed decision without causing any additional stress. In this busy day and age, it can be difficult to find an appropriate time to schedule a home inspection. True Vision Home Inspections goes above and beyond to accommodate your needs by offering appointments seven days a week. Evening appointments are also available upon request. When he’s not inspecting homes, Tom Gabaldon enjoys a challenging and rewarding day out in nature, backpacking on one of the many beautiful trails of Colorado. Tom likes to relax by playing an occasional round of golf with friends.